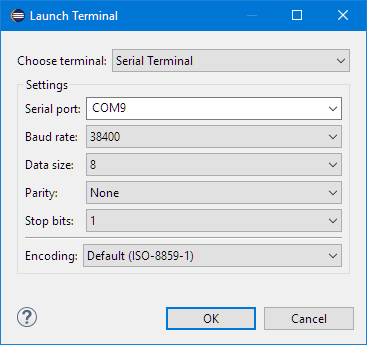 Wish you had a terminal connection to your board within Eclipse without the need for an extra terminal program? Here's how to do it with Eclipse Oxygen and Neon. 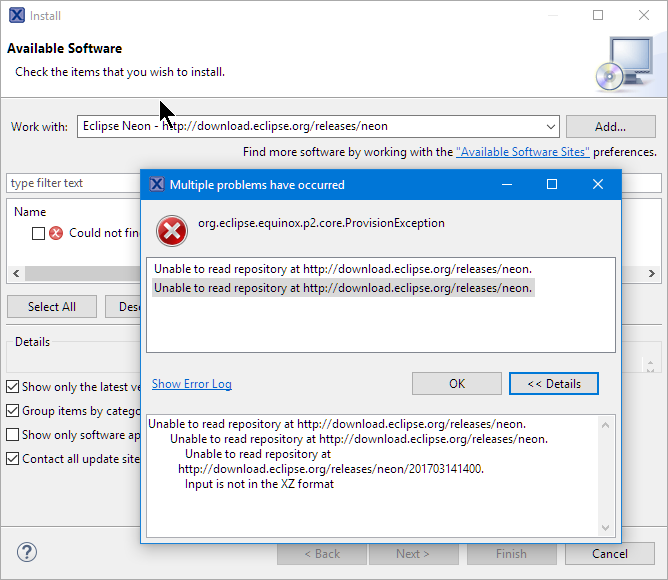 Traditionally, adding Serial Terminal support to Eclipse seems to be an endless source of pain (see the links at the end of this article). That's mostly because of the underlying Java connection to the serial ports. The good news is that with Eclipse Oxygen, things can work out-of-the-box. 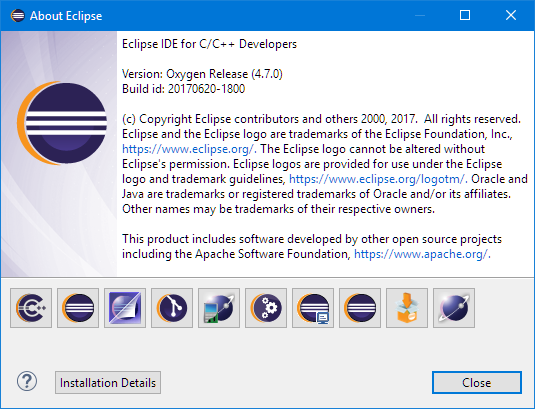 For other Eclipse versions, some extra plugins might be necessary. With Eclipse Oxygen (4.7.0, I’m using the 64-bit version), no extra plugins need to be installed! Other Eclipse distributions need extra plugins installed if they do not have the Terminal view included, e.g. 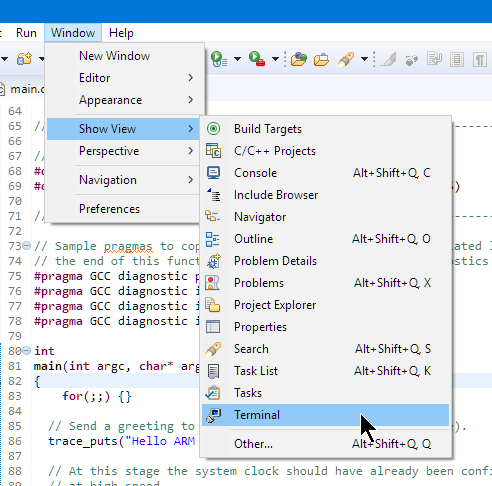 the NXP MCUXpresso IDE 10.0.2 (MCUXpresso IDE v10.0.2 [Build 411] [2017-07-11]), which is Eclipse Neon (4.6)-based. Use the close connection button to close a connection. With Eclipse Oxygen, a serial terminal connection using a COM port works out of the box. 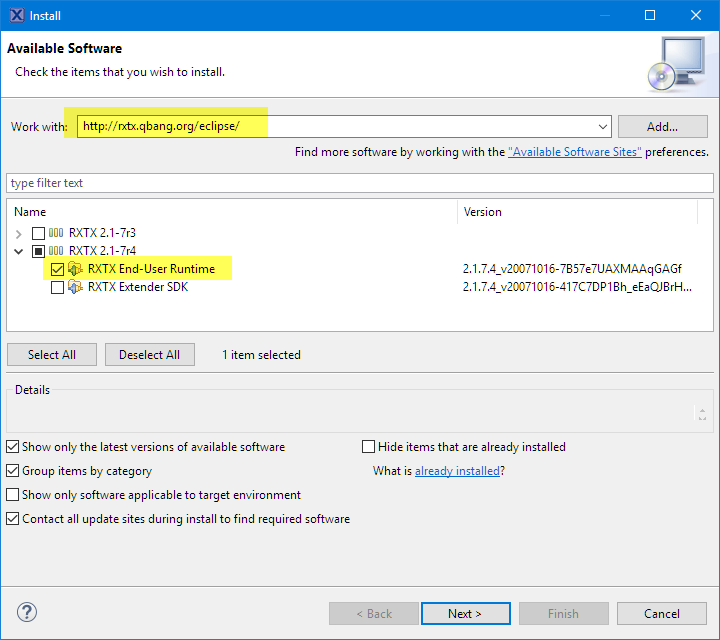 For earlier Eclipse versions, I have to install extra plugins plus the RxTx plugin. With this, I’m able to use a terminal connection to my boards within Eclipse without the need for an extra terminal program.